If you do not have a mustache you wouldn’t have trouble trimming it right?! Well, things do not have to change… all you have to do is select a costume mustache for your favorite outfit, most will stick or glue on and you will never have to clip your facial hair again! Awesome! 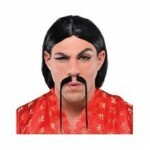 Small and thin mustache: A conservative facial hair style typically seen paired with Asian costumes. This image can easily be paired with an “ethnic” outfit or you could even create your own costume to pair this unique style against. Thick bold and you do no have to have it trimmed up! 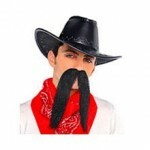 Apply this black moustache for a southern look or even an outlaw costume. This is another great example of facial hair that is to be paired with a unique outfit for that special occasion. 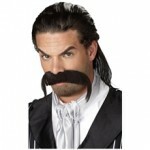 The men dreaming of growing the ultimate moutache usually turn to the handlebars facial hair. This style is a symbol of the “bad boy”, outlaw, trend setter, cowboy, urban hipster, and all other types of people on the hunt for a style for which they can be transformed into a bad bad mamma jamma! 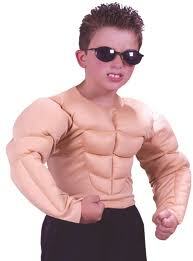 It is hard to go wrong wearing one of these… you will definitely look like a man with this one! A five o’clock shadow and a mustache is pretty darn manly! 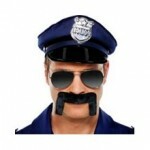 A versatile mustache can be worn with nearly any costume you pick out! Try jeans a t-shirt and a gigantic mustache for that guys look that you have been wanting since high school! 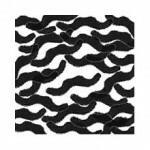 // ]]> Costume moustaches come in al shapes and sizes! You can find them online cheap or expensive it is your choice. Find variety packs and try out all of the styles!